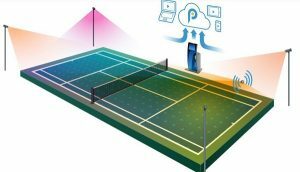 Hotel and Tennis is proud to announce its brand new collaboration with PlaySight Interactive Systems LTD.
By entering the Hospitality’s sports market, we will try to connect the next generation of athletes with Hotels and Resorts which have a big number of tennis courts and organize tennis tournaments and camps during the summer season. We are bringing advanced sports video and analytics technology to every court in the world, creating a global and connected community of athletes, coaches, and fans. Technology has changed how sports are coached, played, and consumed at the elite levels, and we are focused on delivering the same cutting-edge experience to all levels of sport, all over the world. We are becoming the new standard in sports with our cloud-based Smart Court sports video and analytics platform, integrating what happens on-court with an interactive and social online community. Train smarter. Perform better. Get the PlaySight Edge. 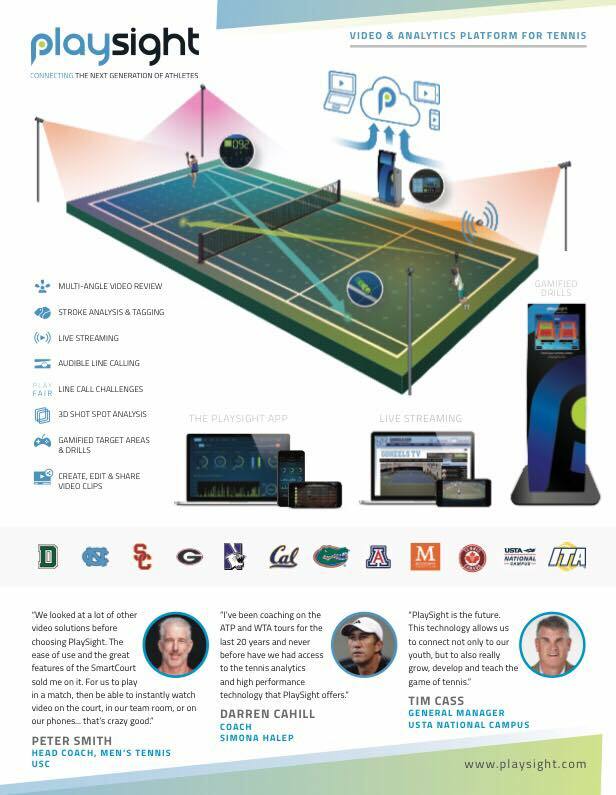 PlaySight’s camera-and-kiosk system is built with state-of-the-art tennis analytics technology that turns any court into a SmartCourt, offering line calling, livestreaming, instant multi-angle video replays and detailed statistics about every shot played. Each SmartCourt is permanently equipped with an interactive touch-screen kiosk, plus six fully automated HD cameras.  The system uses advanced image processing and analytical algorithms to capture and log stroke type, ball trajectory, speed and spin, in-depth shot data, player movement and more. 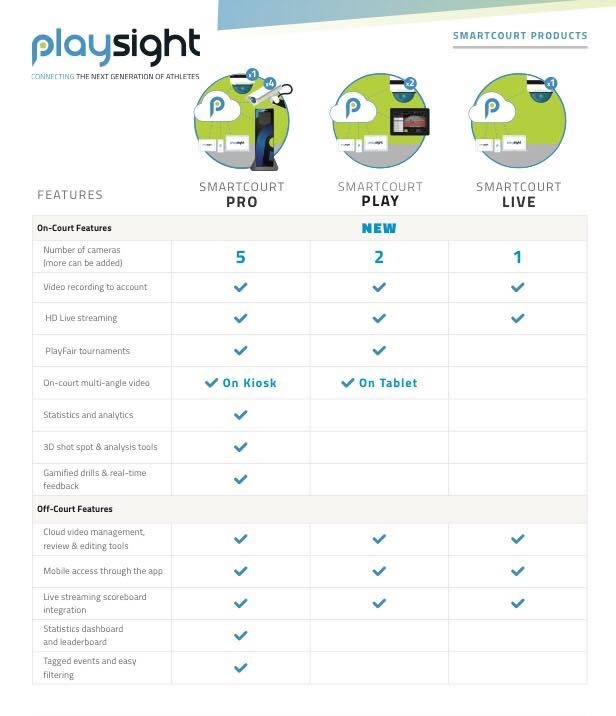 Every time you step onto a SmartCourt, your activity is automatically recorded, analyzed and saved to the PlaySight cloud where you can access it any time through the on-court kiosk, at PlaySight.com or with the PlaySight app. Watch, share and compare your videos and performance with your family, friends and opponents.